Dubai Parks and Resorts, the region’s largest integrated theme park destination, has announced new summer packages. 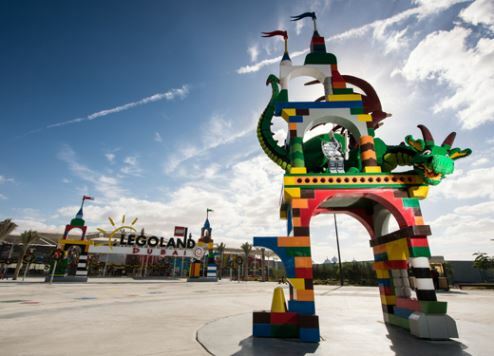 They include a special promotional price on day passes to MOTIONGATE Dubai, Bollywood Parks Dubai, LEGOLAND Dubai and LEGOLAND Water Park, paired with complimentary food and beverages, effective from May 21. The new summer packages will provide visitors with a wide variety of attractions to enjoy at a discounted rate, including LEGOLAND Water Park – perfect for beating the summer heat – plus the Hollywood-inspired thrills of MOTIONGATE Dubai, UAE landmarks made from more than 60 million LEGO bricks at LEGOLAND Dubai and the sights and sounds of Bollywood at Bollywood Parks Dubai. MOTIONGATE Dubai, Bollywood Parks Dubai and LEGOLAND Dubai offer a wide variety of indoor, air-conditioned rides and attractions to keep guests cool under the sun. AED 295: admission to any two parks over one day with unlimited food and beverage. Packages are valid for one day only and include a souvenir cup, which guests can present for their complimentary beverage refills. The meal offer is available at nearly all quick-serve or family restaurants across all three parks. “Summer is a fantastic time to visit Dubai Parks and Resorts and our new summer packages make it even more affordable for families,” said Julien Munoz, vice president sales, Dubai Parks and Resorts.